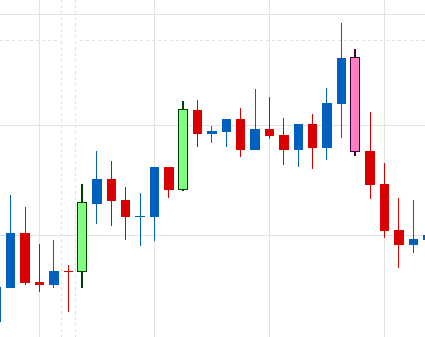 This indicator allows traders to easily identify any bar that is bigger than their selected pip value. Users can also utilize a dynamic big bar recognition logic based upon an Average True Range (ATR) multiplier. These big bars are easily distinguishable from other bars for further analysis and review. Quick recognition of new bars that are exceeding lengths bigger than normal give a heads up for increased volatility and can signal major price movements. Equally as important, the ability to review historical big bars allows users a unique vantage point in identifying and analyzing these areas of interest.